History of Photography is a relatively new discipline with a strong connection to History or to Art History; it entered the museum before entering the university. 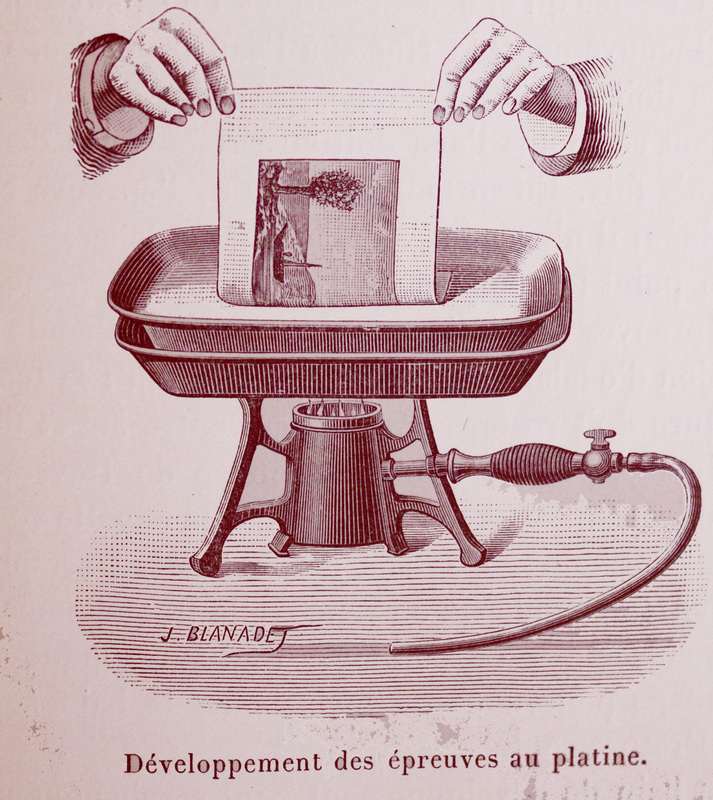 There is a clear corpus for history of photography, and this corpus is beginning to be widely known by the greater public, up to the point of being used in advertising. This is to be expected by a image centered society, however critical thinking on photography is not so widely known, and it is still possible to write a history of art or a general history, without any reference to photography, or at least taking its role in serious account. Up to recent years History of Photography has been mostly centered in a few central countries, only recently researcher from other countries arrived to bring some light into their local histories, but peripheral countries history of photography is still rather confidential outside their respective countries. Fortunately there is a lot of work being done. History of Photography researchers are a mostly dispersed and heterogeneous community with just a few research centers dedicated to History of Photography, a number of researchers working on diverse research centers, ranging from architecture to literature, but including History, Art or Social Science. There are also a great number of researchers working in archives and museums, not to speak of independent researchers. As a whole History of Photography researchers are more disperse than those working in other areas. EU and national official funding has been central to European research, however this funding has been progressively more centered on exact science. This funding does have also a strict set of rules not easy to fulfill by history of photography researchers. There is the need to have work on smaller sets of countries with similarities, as well as to have work done on greater geographic entities not comprehended by EU projects. Dispersion means there lack of communication, even if we are now better than a few years ago, and the difficulty to create cooperative projects. It is even more difficult to include independent researchers into projects. At this point there is also the need to overcome some cultural difficulties in order to create a wider community of researchers. A History of Photography Research Network could contribute to connect those who are isolated and to overcome cultural differences. It should be an important tool for the development of History of Photography as a recognized area. Modern communications and web based services make easy and not expensive to create such a network, its success depends more on getting a wide researchers acceptance than from having great resources. This network is supposed to act like a meeting point for researchers and a place to share contacts, experience, work, resources. It could also be a repository for texts and other work, a platform for divulgation of books, exhibitions, conferences, information, and, not the least, a platform for discussions and joint projects. It should be important for the scholar and the researcher, but also to the general public with more than a passing interest in History of Photography. The site is one of the most important parts of this network. It is the way of presenting the network to a wider audience, but it is also the main means of communication. It would be possible to have free hosting and amateurish in house design, however it would be desirable to have a professionally designed site. Skipping free housing would also give control over advertising. The website creates the need for private funding, as it does not into current funding programs. Funding by the photographic industry is could be also an endorsement and a mutual benefit. Among the goals of this network should be organizing a European History of Photography Congress. Recent conferences organized in several countries were remarkably successful, and there is a definite possibility of organizing a more comprehensive activity if there is a joint effort between several research centers and other organizations. Having an annual congress may be not feasible; however a bi-yearly congress seems to be a realistic proposition. Among suggestions are theme related and general European Photographic Histories, and an E-Magazine, or with the necessary resources a paper magazine. We hope this network to organize research centers, archives, museums and other institutions, as well as independent researchers and collectors. At this point we are passing the stage of individual contacts to try to reach a broader audience. This is far from a finished project and all feedback is most welcome. We would also like to know of your view on the subject, even if not positive, and of your personal and/or institutional willingness to be a part of the network. Walter Benjamin credited the Surrealist movement with ‘a true, creative overcoming of religious illumination’ by replacing it with a kind of ‘profane illumination’. This talk attends to two key moments in the art of producing technically mediated, profane illuminations. They are, first, the innovations of the Surrealist movement itself and, second, Leo Steinberg’s ‘Other Criteria’ with its conception of the picture plane as a receptive surface or, as he put it, ‘a consciousness immersed in the brain of the city’. The ESSHC aims at bringing together scholars interested in explaining historical phenomena using the methods of the social sciences. The conference is characterized by a lively exchange in many small groups, rather than by formal plenary sessions. The deadline for pre-registration on our website is 1 may 2017. To send in a proposal please go to the pre-registration form. For more information on how to send in a proposal please go to guidelines. The 12th European Social Science History Conference is organized by the International Institute of Social History in co-operation with the Queen’s University (link is external)in Belfast. Abstracts of no more than 300 words should be sent to phrc@dmu.ac.uk no later than Friday 27 January 2017. The consequences of the expansion of photographic practices around the globe are many and varied. Social interactions through and with analogue and digital photographs and the platforms across which photography is shared and disseminated keep challenging traditional socio-cultural boundaries. For its 2017 conference, Diverse Migrations: Photography out of Bounds, PHRC is particularly interested in how these processes affect peoples whose photographic histories are currently understudied. These may be (but are not limited to) African, Central American and Middle Eastern cultures. Papers are welcome from all career stages. The photo-illustrated monthly UHU was at the heart of the progressive photographic culture of Weimar Germany. In a stream of articles and photo-pages in the late 1920s, UHU showcased the work of modernist photographers, such as Albert Renger-Patzsch and Laszlo Moholy-Nagy, alongside the radical new perspectives of scientific and aerial photography. UHU’s modernism offered more, however, than a simple embrace of technological modernity; like the great photographic exhibitions of the period, the magazine sought a reconciliation between the rationalising forces of the machine age and the organic principles of the natural world and traditional life. This talk describes how UHU’s modernist synthesis was expressed through a unifying aesthetic of repetition and regularity. The magazine’s photographs of microscopic plant forms, aerial landscapes, and the textures of urban life, were symbolic of alternative visions of social order – the organic or technocratic principles of an ideal future society.